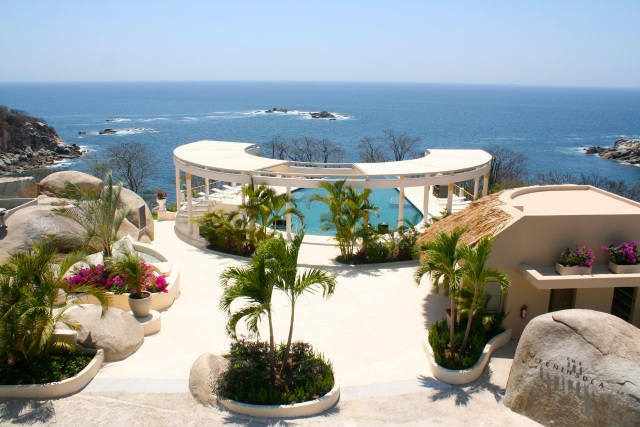 Located on the cliffs of Playa Arrocito, Huatulco is the majestic Cosmo Residences. Perfectly situated atop a series of granite boulders this development offers breathtaking views of the Pacific Ocean. Playa Arrocito is a protected cove within calm crystal blue waters, giving residents the perfect spot for swimming and snorkeling. Enjoy clean, modern and cosmopolitan style living amongst the flora and fauna of the Oaxaca coast. With gated 24-hour security, a beach bar & grill, an exercise room & spa, plus multiple swimming pools spread throughout the development, there is so much to explore in your paradise home. In addition, all owners at Cosmo Residences have priority rights to use the Cosmo Residences sailing yacht and captain at their leisure. Pricing ranges from $419,000 USD- 2.2 Mill USD. Do not miss out on this limited time pricing. Reserve your space now.